2007, Band leader, Bass player, Programmer. 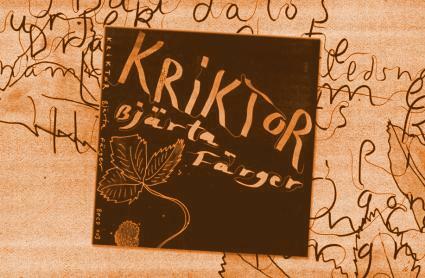 Bjärta Färger, released 2008 on BoogiePost Recordings, is the first album from Kriktor, a wood and electronics trio with drummers Anders Uddeskog and Joakim Sandén. For Kriktor, I’ve created a custom effect setup with a controller pedal for each of the musicians. The pedal is triggering the playback of a constantly running recording buffer. The playback speed can be adjusted, but is generally slower than realtime, making you play together with a second, slower version of yourself. The electronics are made in Pure Data.